Wool and Wheel: The bookshelf tag. I love seeing other people's bookshelves. I'm not a particularly nosy person, but bookshelves grab my attention. I love seeing what books people own, how they organize them, etc. So when I saw Hayden do the bookshelf tag a while back, I knew I wanted to do it, too. I like the idea of talking about books that I don't normally get the chance to talk about (though looking through this post, I'm sure I've written about a lot of these already). Also, I didn't take a picture of it, but my desk has two little shelves that hold about thirty books...it's all Christian nonfiction. Like devotionals, my bind-up of some C.S. Lewis, and a couple of memoirs/autobiographies. Do you have any special or different way of organizing your books? I've always organized my books in a specific way. Otherwise I don't think I'd be able to find anything and it would drive me crazy. :) First of all, my fiction and nonfiction are separate. The first three bookcases you see above are fiction (actually, the third one is currently only about half full...I'm using the bottom shelf to store some vintage books and old family photos and things). The fourth one is nonfiction. Within the fiction bookcases, my books are organized in alphabetical order by the author's name. When there's more than one book by an author, they're usually in order of publication if they're stand-alone books or obviously in the correct order if it's a series. Within the nonfiction, I have them sort-of divided into categories and then loosely in alphabetical order. All of my books about old Hollywood stars are together, then the other biographies and memoirs (roughly grouped...like the Jane Austen-ish ones, the C.S. Lewis ones, bookish ones), and then all of my travel books are together. What's the thickest (most amount of pages) book on your shelf? The thickest book I own is the third volume of The Collected Letters of C.S. Lewis. It's about 1600 pages. I have all three volumes of his letters (this is the biggest, but the other two are also huge), and they're on my "someday" reading list. I do want to read them eventually, but goodness...it will probably take me years. 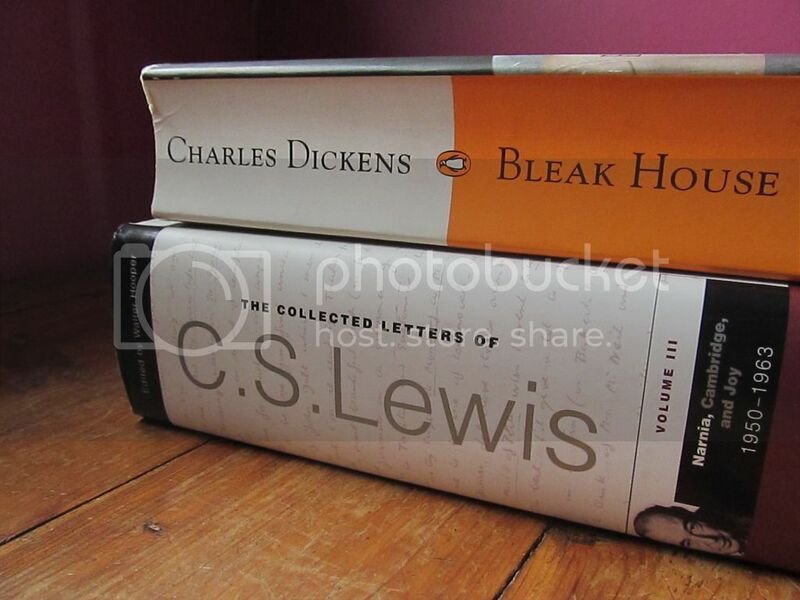 The thickest novel I have is Bleak House, which is the only Dickens that I've read so far. My copy is nearly 1000 pages long. What's the thinnest (least amount of pages) book on your shelf? 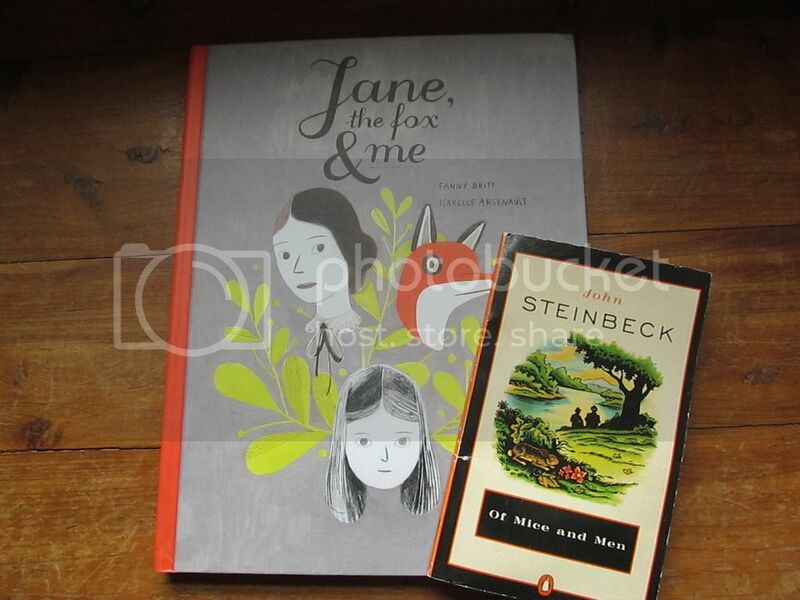 Jane, the Fox, and Me is only 101 pages, but it's a graphic novel so maybe that shouldn't count. 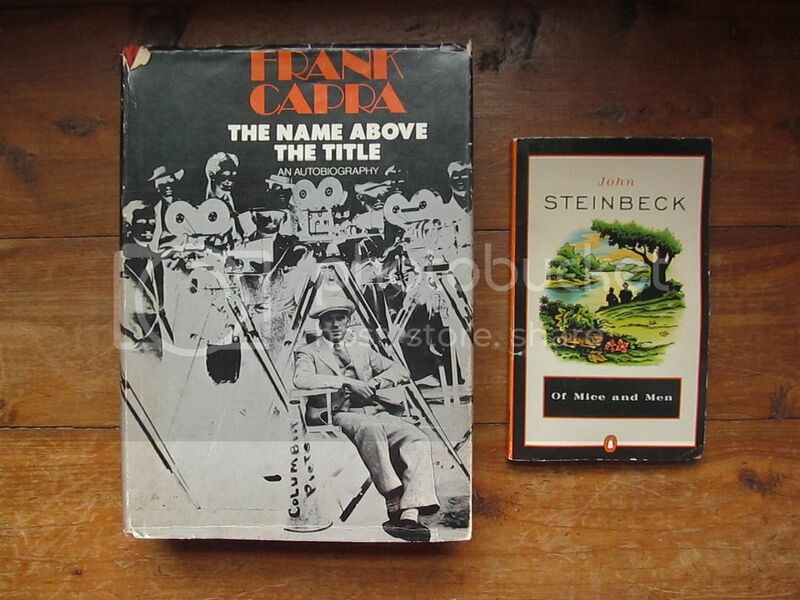 My thinnest novel is John Steinbeck's Of Mice and Men, which is only 104 pages. 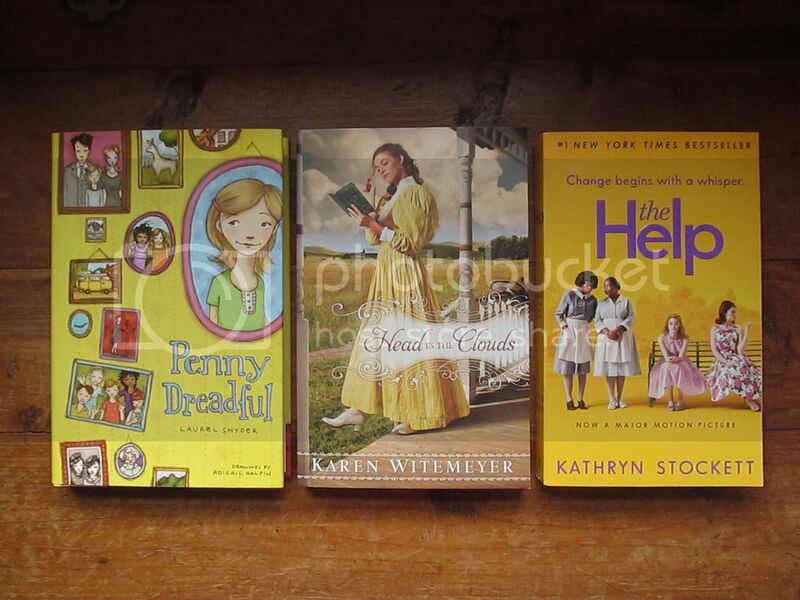 What's the smallest (height and width wise) book on your shelf? Again, Of Mice and Men. It's such a tiny book! Is there a book from a friend on your shelf? I picked a couple of classics (that I haven't read yet) for this one. 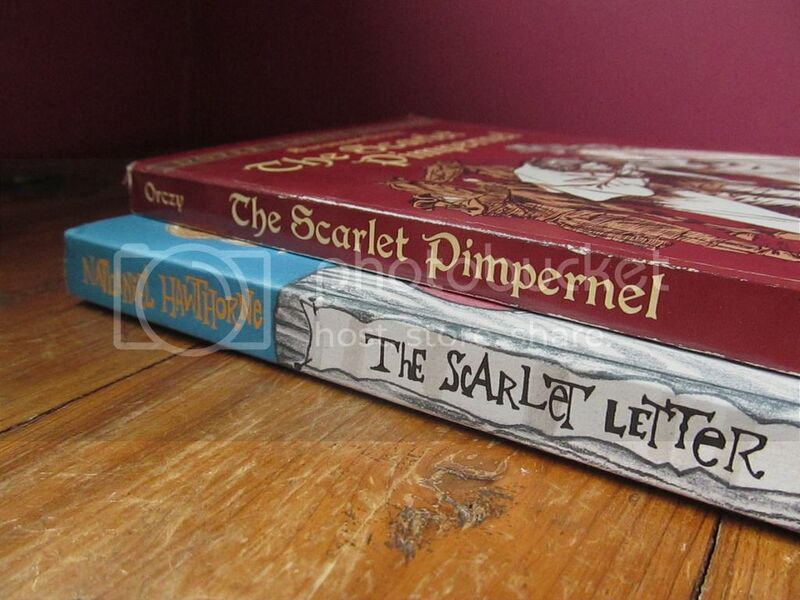 My friend Carolynn has given me quite a few books, including The Scarlet Pimpernel, which I hear good things about. 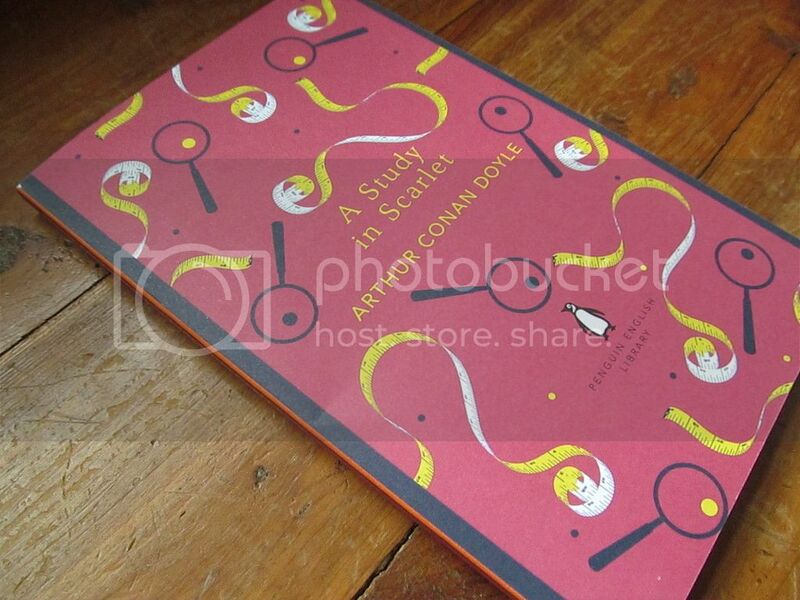 Also, Natalie once sent me this copy of The Scarlet Letter (it's one of those creepily pretty Penguin editions with the covers illustrated by Ruben Toledo). Most expensive book? It used to be The Casual Vacancy, which I paid about $23 for and which happened to be one of the most disappointing books I've ever read. Finally I just got rid of it because I knew I was never going to read it again and it made me sick to keep seeing it on my shelf. So I'm not really sure now...I rarely buy new release hardcovers, and when I do, I never pay more than about $15. 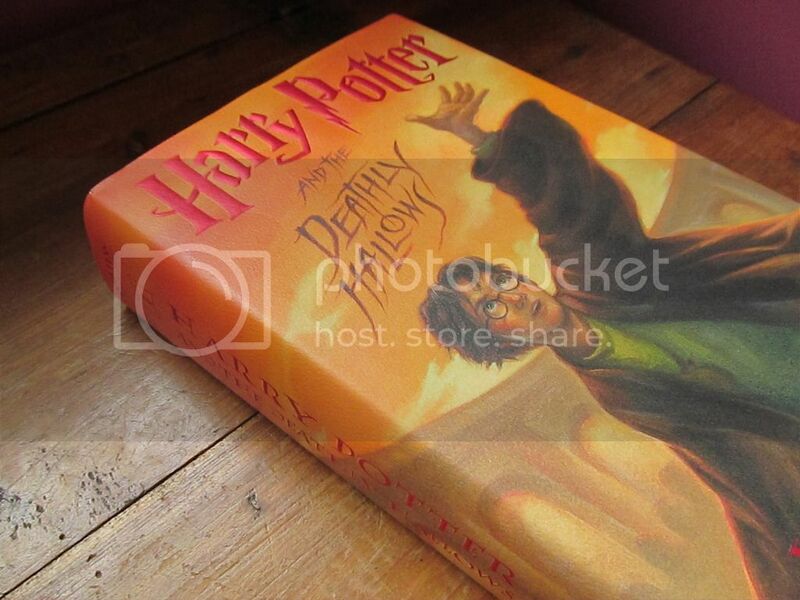 I'm going to guess that my most expensive book is probably the last Harry Potter book. I bought it the day it released and it probably cost about $20. Of all the books on your shelf, which was the first you read? Probably Sarah, Plain and Tall. I know we had to read it several times in elementary school, and the first time was probably around 1st grade. I still love this book. It's so simply written but beautiful. Do you have more than one copy of a book? Yes! I've actually done a post about this before. For now I'll just show you my three copies of Jane Eyre, which happens to be one of my favorite books. I used to have another copy but I donated it. So now I have two vintage copies from the 40s (the one on the bottom is my favorite) and a Penguin clothbound edition. Do you have the complete series of any book series? The Secret Series by Pseudonymous Bosch, the three Al Capone books by Gennifer Choldenko, The Hunger Games trilogy, The Montmaray Journals by Michelle Cooper, the Books of Bayern by Shannon Hale, The Charmed Life trilogy by Jenny B. Jones, the Chronicles of Narnia, The Giver quartet by Lois Lowry, the Sarah Plain and Tall series, the Wildwood trilogy by Colin Meloy, the Across the Universe trilogy by Beth Revis, the Harry Potter series, A Series of Unfortunate Events, the Wings of Glory series by Sarah Sundin, the Lord of the Rings trilogy, and the Little House on the Prairie books. Whew. I didn't include series that I know aren't complete yet...I have about three of those. What book has been on your shelf forever? Ella Enchanted. It's one of my favorite childhood books, and I would still consider it a favorite. 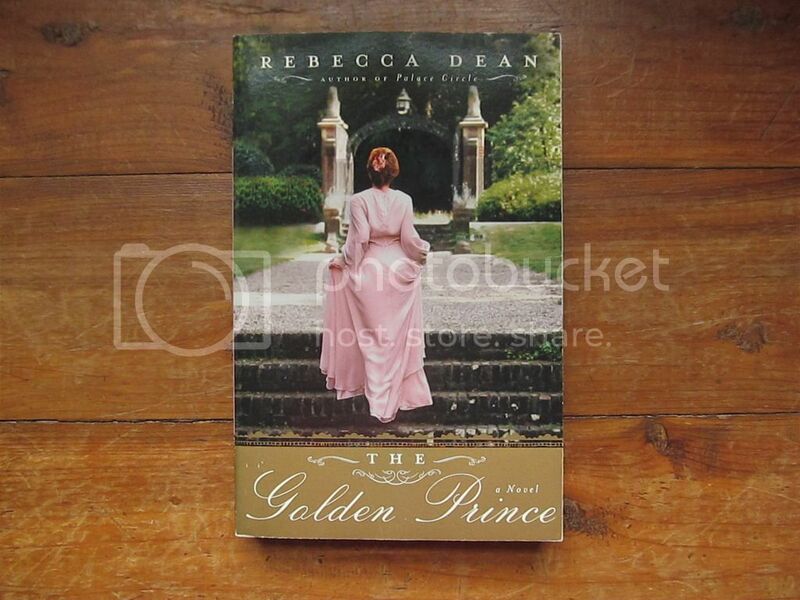 :) I've owned this copy for probably 13 or 14 years...I got it at a book fair in elementary school. What's the most recently published book on your shelf? A Love Like Ours, by Becky Wade. I received a copy to review, but it was just released on May 5th. 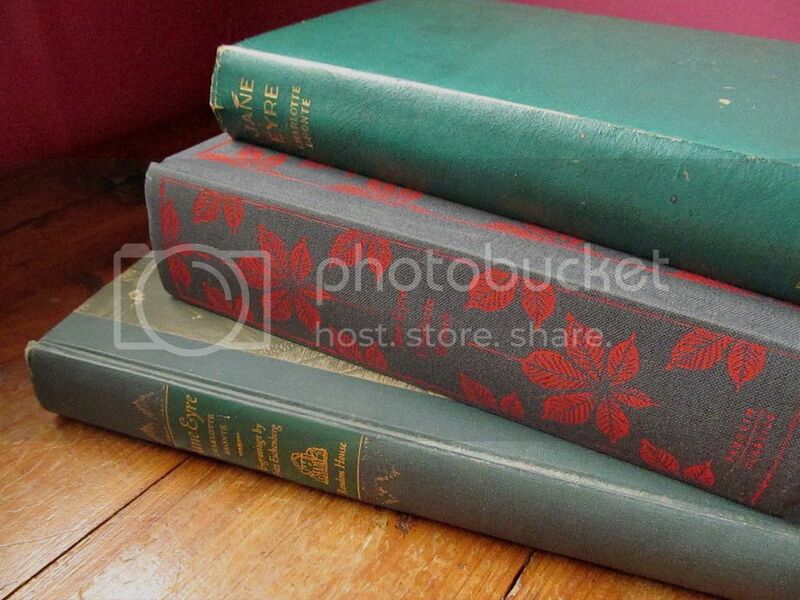 What's the oldest book on your shelf (as in the actual copy is old)? 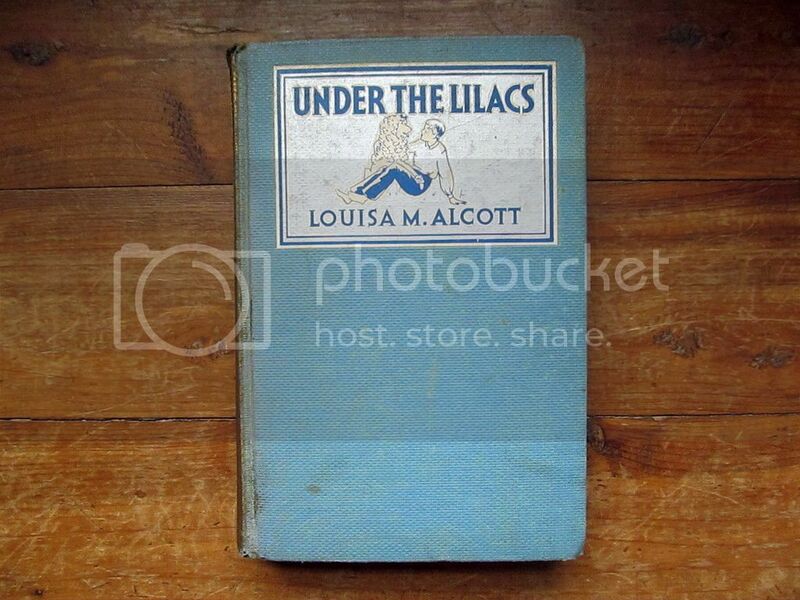 Most of my old books are from the 40s, but I think this copy of Under the Lilacs is from 1919. 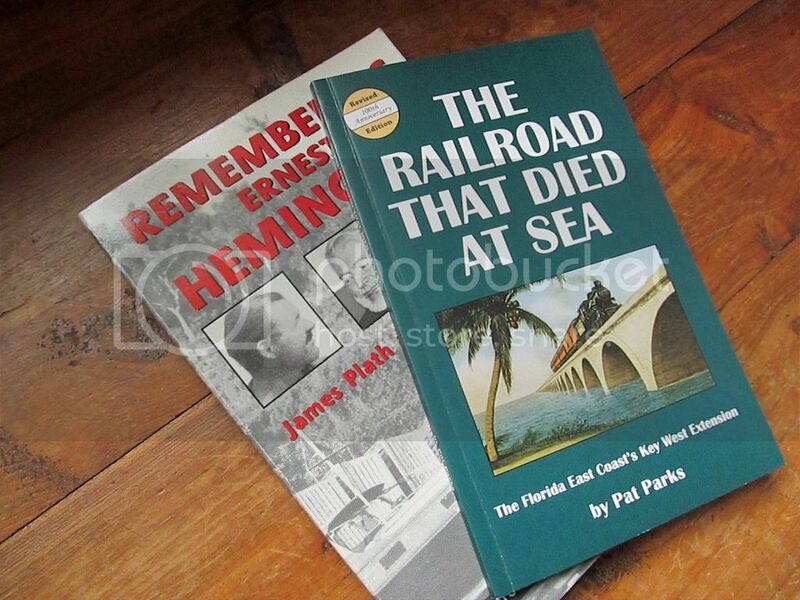 A book you won? I won Unending Devotion by Jody Hedlund in a Goodreads giveaway. A book you'd hate to let out of your sight (as in, a book you'd never let someone borrow)? I'm sure you saw this one coming. 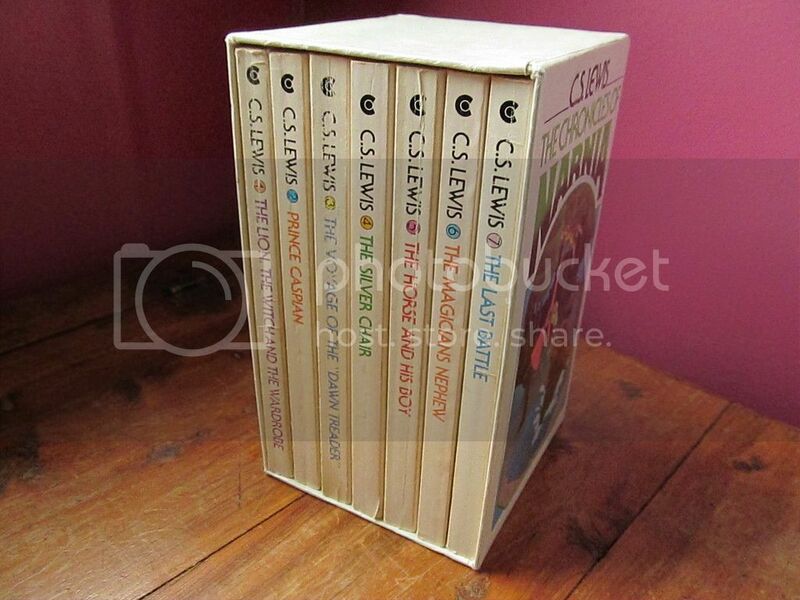 :) It would definitely be my Narnia boxed set. 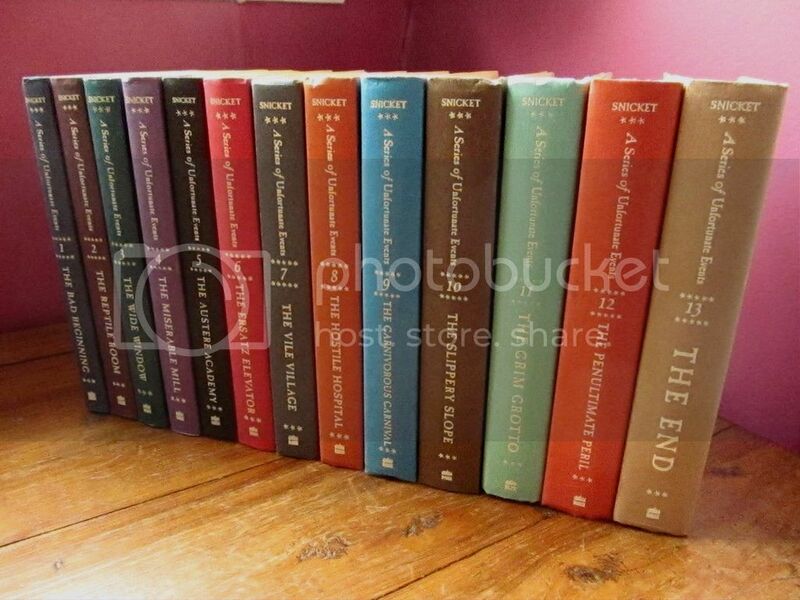 These are my favorite books, and even though these editions are worn and ugly, I am so attached to them. I know I'll have to get a new set at some point, but I'll never get rid of these. Also, they're in the proper order (publication order, not chronological order! The books are so much more magical this way), and all of the new sets are renumbered, which is annoying. Most beat up book? 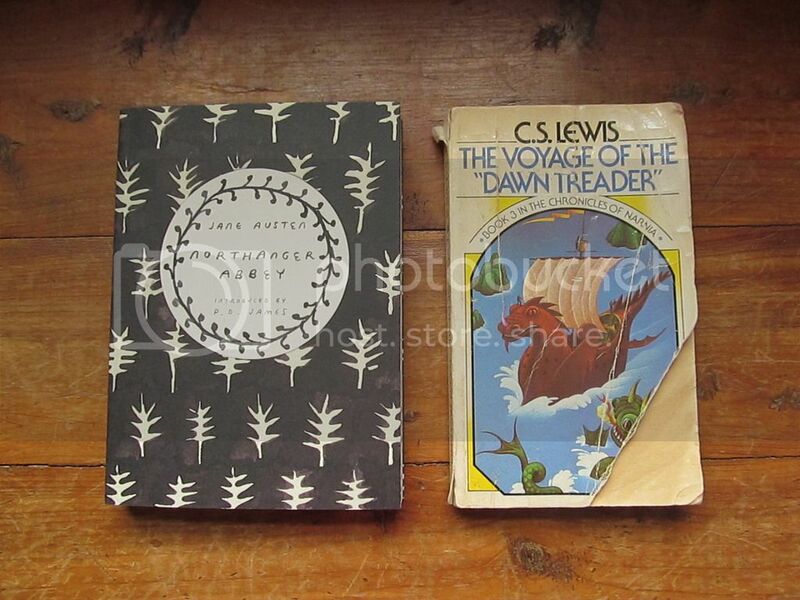 This particular copy of The Voyage of the Dawn Treader is a bit shabby (and missing part of its cover). A book from your childhood? Again, Ella Enchanted. Or maybe Charlotte's Web. I remember my third grade teacher reading us that story. A book that is your favorite color? I say that my favorite color is yellow. So here are three covers with yellow, though I don't particularly like the shade of yellow on any of them. 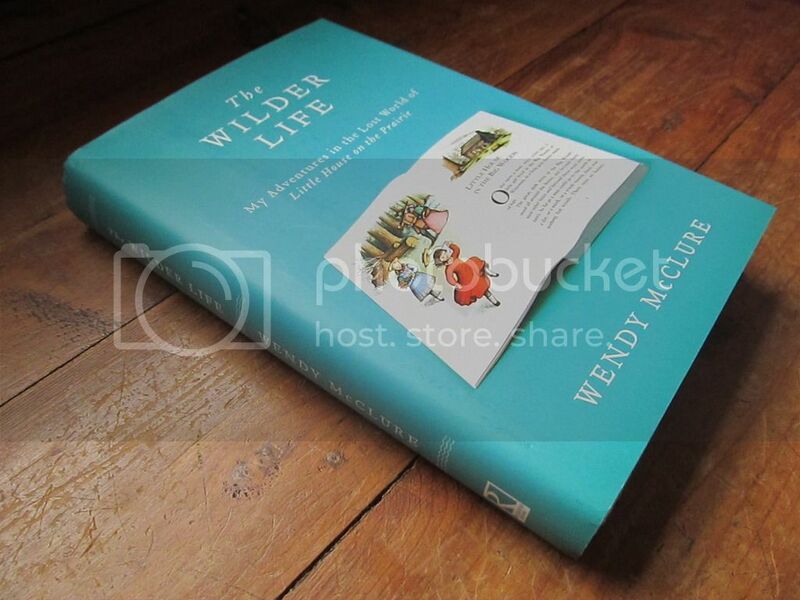 :) I also love blue: especially turquoise or teal, like the cover of The Wilder Life...that's just a very pretty cover in general, I think. Any signed books? I have three. The only special one is A Snicker of Magic, by Natalie Lloyd, because it's personalized and I love that book. The other two just happened to be signed when I purchased them. Love this post! I am a total book nerd, so LOVED looking at your bookshelves! I have too many books to fit in my six bookshelves - my absolute dream is to have a dedicated library one day. Imagine, a whole room for books! My grandfather worked at Oxford University Press and had a huge library, so I have lots of his books. They are such treasures. My signed book would be a first edition of Patrick White's Tree of Man. Love all your books - lots of my favourites there too. And i have lots of complete series too. It is like an obsession - once I get one in a series, I have to track them all down! Great post - I really enjoyed it! I didn't realize how many completed series I had until I started looking! Definitely keep going with the bookish posts! 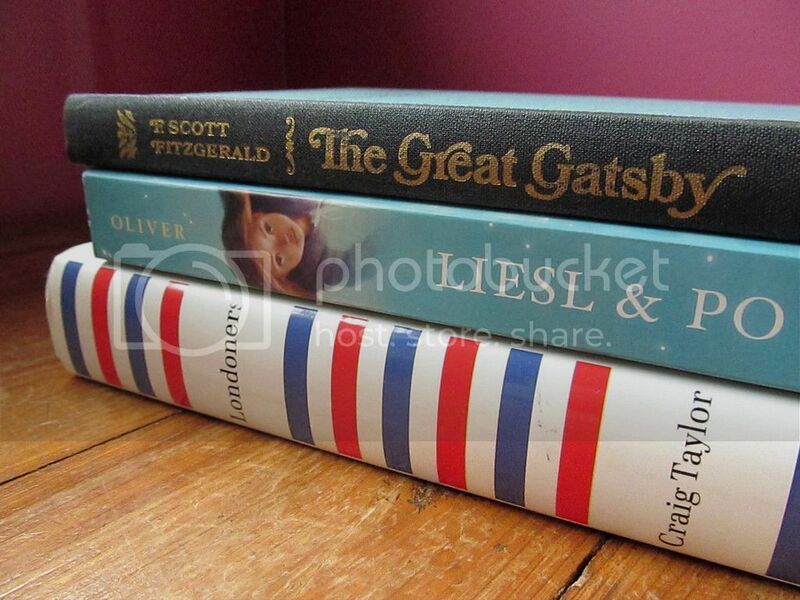 Maybe I'm just weird, but I just love your photos of books - so gorgeous! I'm one of those people who stroke their favourite books; I just like to give them a friendly pat when I am passing them during the day! Ella Enchanted is so good. (So much better than the film!) 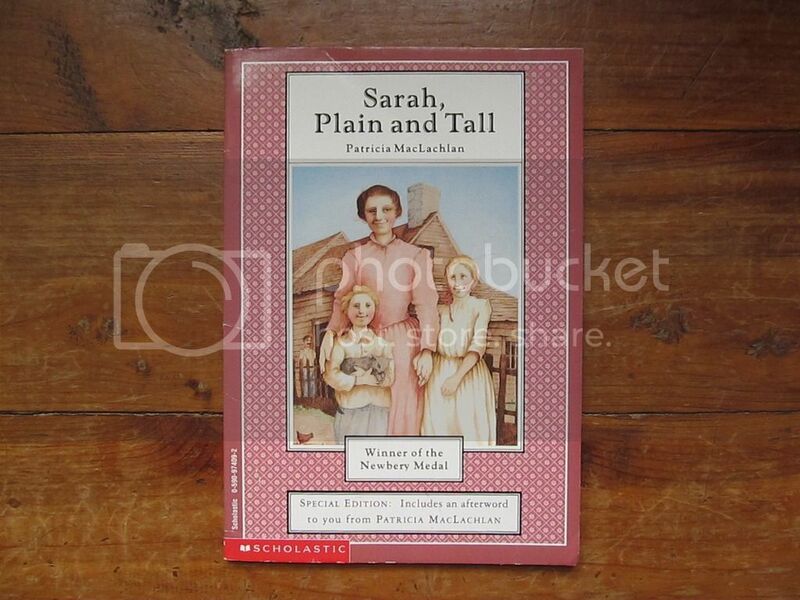 And Sarah, Plain and Tall is such a beautiful book. I like the whole series, but the first will always be my favorite. I'm excited to read some Sherlock Holmes...I've only read one or two of the short stories before, back in high school. 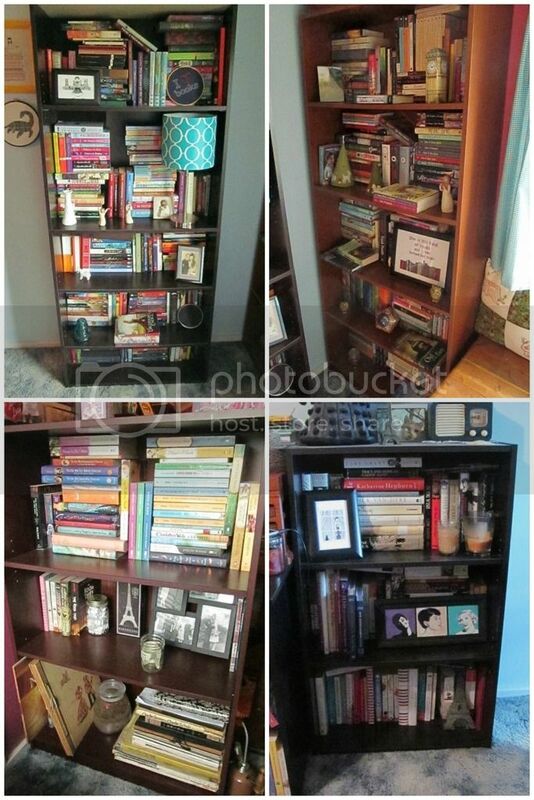 What fun to "tour" your bookshelves, Kristin. Nicely put together. 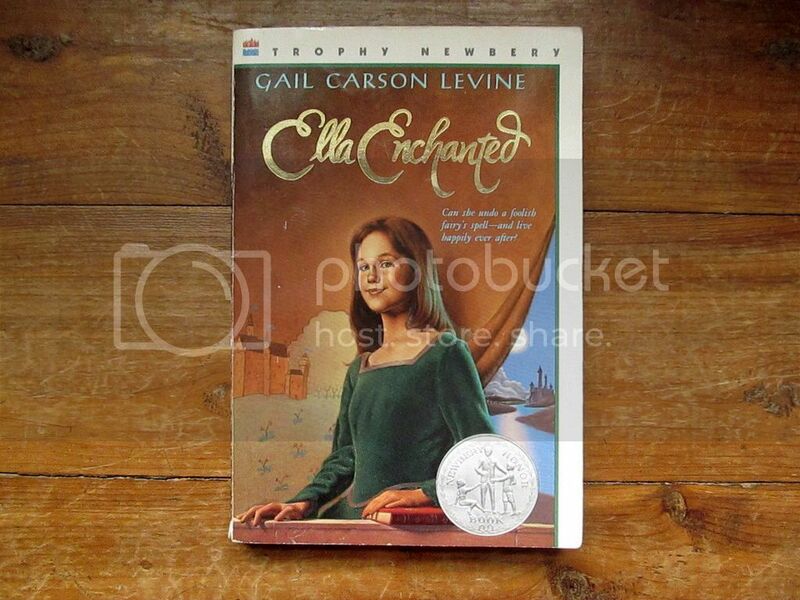 That Ella Enchanted cover is the exact same as mine. 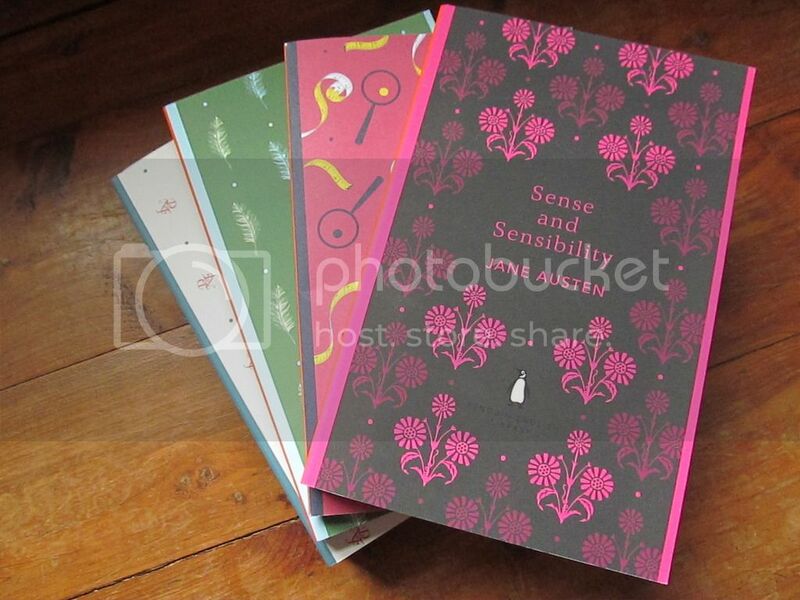 Oh, and those Penguin editions are really pretty! Thank you! I think most readers are a little OCD, in different ways. :) I know my shelves look a bit junky, but my system works for me. I know that lots of people organize by book size or color, and while it looks beautiful, I don't see how they find anything! :) I guess it just depends on the person. Here's my bookshelf post, Kristin! Thanks for giving me some much needed inspiration in the form of your lovely post!! Please feel free to leave a comment, I love to read them! :) I reply to each one, so be sure to check back, especially if you asked a question. Kristin has read 0 books toward her goal of 50 books. Why I don't wear makeup. The Huntress of Thornbeck Forest. All words & original photographs copyrighted by the author of the blog, 2009-2016. Simple theme. Powered by Blogger.